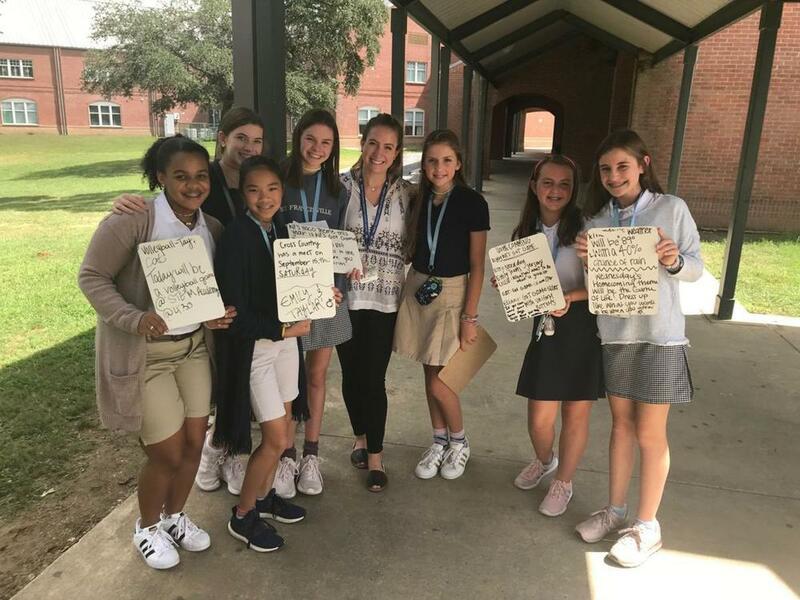 West Feliciana Middle School students read announcements by using a digital format to communicate important daily announcements to fellow students. The program is led by WFMS teacher Lorrie Metrejean. WFMS is a LEAD school, which follows the concepts of Leader in Me. Students have numerous opportunities such as the daily announcements to practice and demonstrate leadership skills.